Even when we’re asleep, the brain still manages to do a lot of work. Hence, sleep is absolutely essential to ensuring the brain remains healthy. In fact, it’s so important that a couple of recent studies reveal some surprising results. Going as little as one night without sleep can negatively affect memory, metabolism, and even increase the chances of developing Alzheimer’s, anxiety, and more. 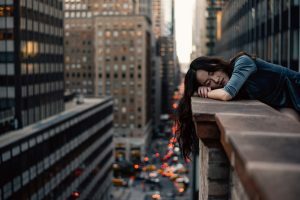 A University of California at Berkeley examined the effect of a single night’s loss of sleep on anxiety and emotion regulation in several young adults in good health. After just one night of complete sleep deprivation, participants showed an increase of more than 25% in anxiety levels, compared to how they felt the previous night. The difference was further reinforced when their brains were scanned: Those that were dealing with sleep deprivation showed greater activity in the amygdalae, the brain center responsible for anxiety and fear. Is your mattress what’s causing your sleep deprivation? Your brain should always remain in top shape, which is why we encourage you to visit Brickell Mattress and try a mattress by Vispring or Hastens to discover the difference. With these mattresses, you’ll fall asleep easier and reduce the odds of tossing and turning. To read more about the study, visit https://www.forbes.com/sites/alicegwalton/2019/01/26/new-insights-on-how-sleep-deprivation-affects-body-and-mind/#ac12d3178be1.